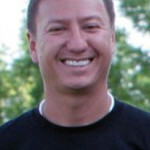 Charles Laughley has coached youth soccer since receiving his license in 2003. He has coached multiple teams for a majority of those seasons. The teams have all had success both on and off the field. He has an extremely high retention rate of players due to his relationship with the players and their families. He served 5 years as a Board Member for Weatherford Soccer Association. He chaired the Coaching Development Committee, which helps instruct new and veteran coaches on developing young soccer players and being a role model for them.